One of Island Construction's finest masterpieces, this palatial estate in sought after Cherry Farm will blow you away. 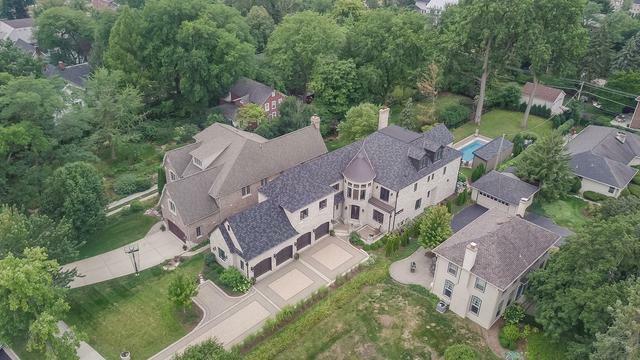 An exquisite stone exterior with 2-story foyer welcomes you to 376 S Hill. With almost 10k SF of finished living space, this entertainer's dream leaves nothing to be desired. Over the top finishes, trim and ceiling detail, imported tile, highly upgraded countertops and appliances, state of the art smart features include 15 zones of sound, smart lighting system, 7 security cameras, and a hotel-like master suite are just a few of the features that will make you feel like you're on vacation every day. 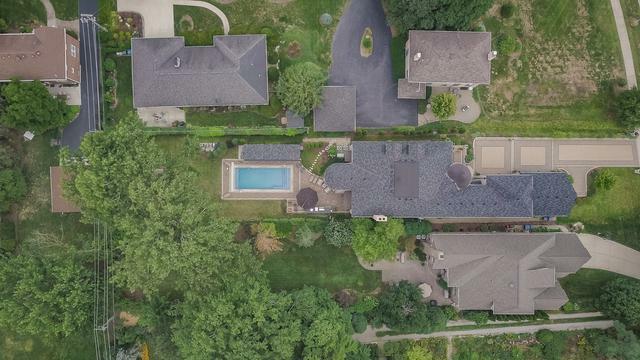 7 bedrooms - all w/ attached baths, 5.5 baths, 4 car garage w/ lift, paver brick driveway, outdoor kitchen, heated salt water pool w/ cabana house, & a zip line across your 312 ft deep lot! The finished basement was done in 2016 & includes a full bar, wine cellar, poker room, bed & full bath, exercise studio, media rm, stairs to garage & tons of storage! Listing provided courtesy of Berkshire Hathaway Homeservices Prairie Path Realtors.